The Ministry of Road, Transport and Highways has proposed a programme under the vehicle registration scheme, Vahan, that would make it easier for automakers to reach out to customers during vehicle recalls. Under the proposal, automobile companies would fill in the vehicle identification details at production into a database connecting Regional Transport Offices (RTOs). RTOs would then register ownership details on sale and on changing hands in the pre-owned vehicle market. At present, the documentation process for changing ownership details of a pre-owned vehicle is tedious, and often makes consumers skip the procedure while selling and purchasing used cars in the unorganised sector. Over 2.5 million pre-owned vehicles are sold in India every year with over 85 per cent of the business taking place in the unorganised sector. This makes it difficult for manufacturers to trace consumers in case of vehicle recalls. The Society of Indian Automobile Manufacturers notified a “voluntary code on vehicle recall” last month, according to which, manufacturers may recall vehicles voluntarily to rectify safety defects arising from malfunctioning of steering components; brake systems; faults resulting in unintended fuel leakage; cracked or broken wheels and problems in wiring systems that result in loss of complete lighting. The policy would be applicable on vehicles for seven years, in addition to the warranty extended on products by manufacturers. The proposed programme would help in increasing efficacy of vehicle recalls done by manufacturers. The burgeoning Indian automobile market has seen a rise in frequency of cases involving engineering flaws in new-generation cars raising concerns on safety of passengers. 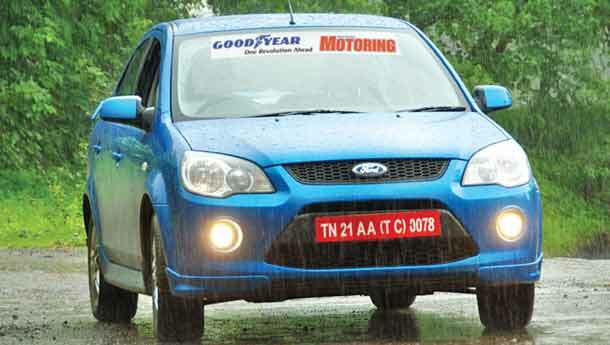 On Monday, Ford India recalled 111,000 units of Figo and Fiesta to inspect faults in steering and rear suspensions. In September last year, Honda Siel recalled 72,115 units of City to replace faulty power window switches. This was preceded by the country’s largest car maker, Maruti Suzuki India Ltd, recalling 13,157 units of Swift, Ritz and Dzire to inspect and fix engine defects. Automobile manufacturers in India report wholesale data (dispatches from the company) currently, which reflect the sales taking place at the dealer outlets. The National Informatics Centre (NIC) would develop the software for the new programme. The ministry official added that discussions are at a preliminary stage and it would take some time before the specifics and the funding of the programme are finalised. In July last year, the ministry had launched Vahan (vehicle registration) and Sarathi (issue of licence) programmes for smooth registration of vehicles at RTOs. Vahan enables registration of vehicle, collection of road tax and issue of permits and clearances. Sarathi monitors issue of licences to learners, drivers, conductors and driving schools. Data available with the ministry shows there are around 970 RTOs across the country. Of these, 98 per cent are electronically connected.